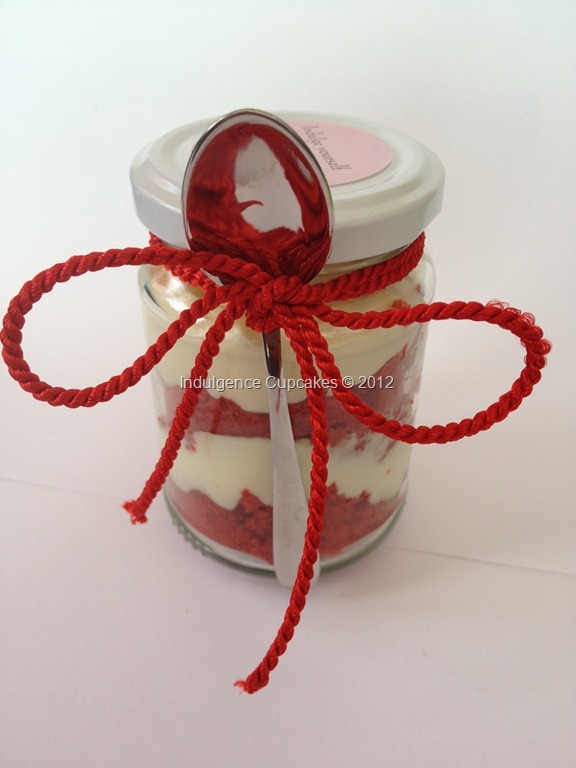 A special treat for any occasion and so pretty too! Red velvet cupcakes with cream cheese icing, loving colour contrast! 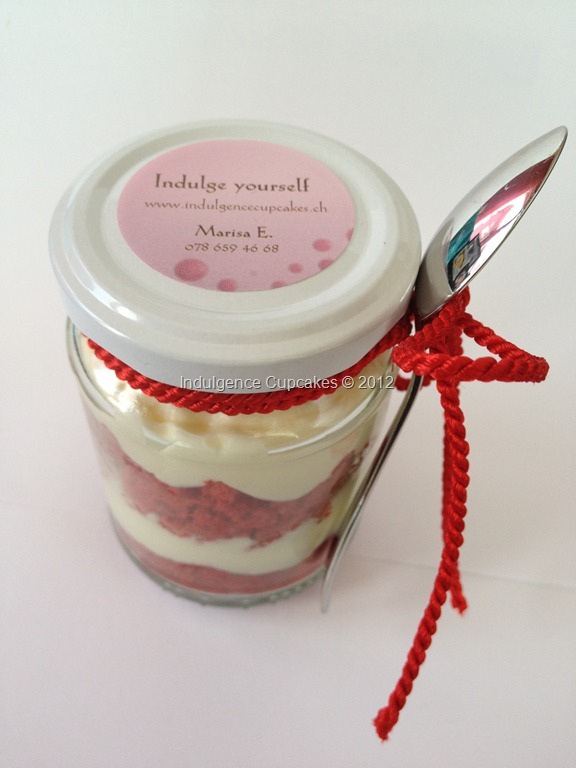 An ideal thank you gift at after a party or wedding or even a special dessert treat. Ribbon, sticker and spoon according to requirements. 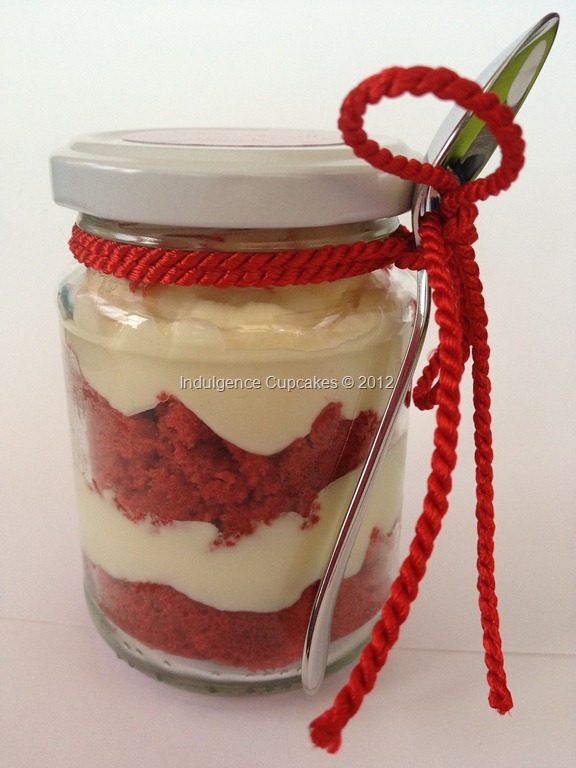 Each jar contains 1 and half cupcakes.